Alphabet stamps are a fun way to practice all sorts of literacy skills, from ABCs to phonics, sight words, and writing. 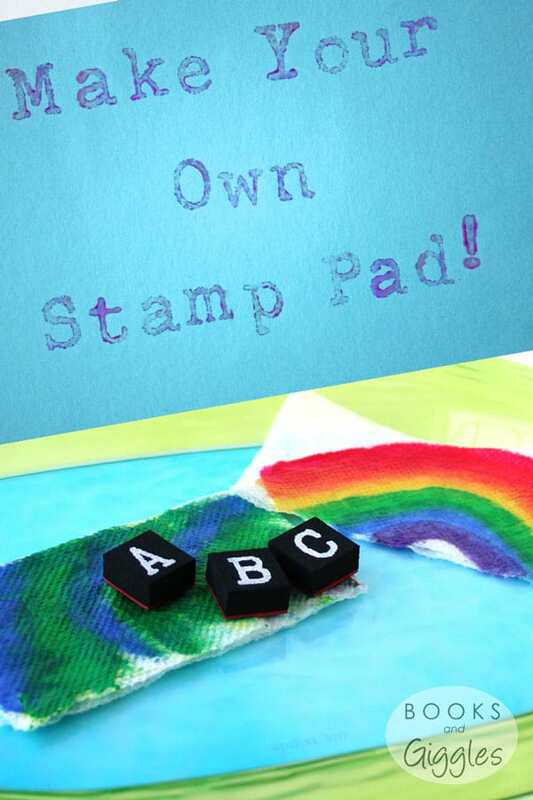 You can make stamping even more fun by letting the kids make their own stamp pads. All you need is a sturdy paper towel and some paint. Oh, and letter stamps! 1. Fold a paper towel to roughly the size of a stamp pad. Get it wet and squeeze out excess water. 2. 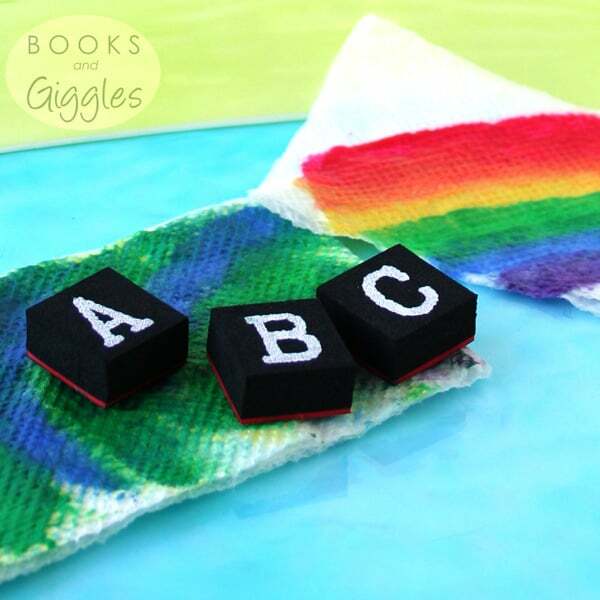 Put washable tempera paint on the paper towel. Spread out the paint with your finger or a paintbrush. You don’t want it too thick or too thin. 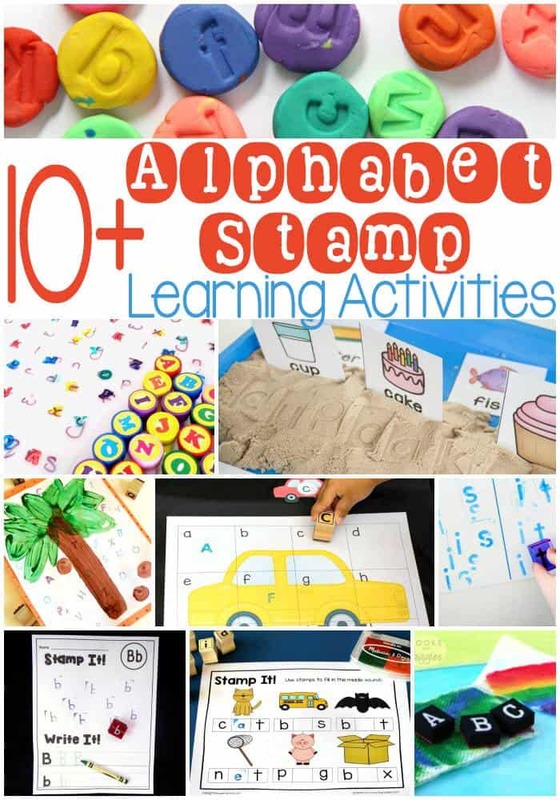 Here are some ideas for using letter stamps at every level of learning. 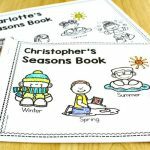 Learning Phonics – Give your child stamps for letters he knows and is learning. Suggest words to stamp, or let him figure out his own. 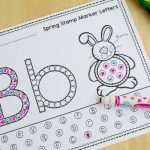 Writing – Once she knows most letter sounds, she can use letter stamps to “write” short messages. 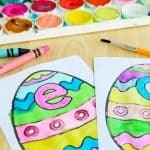 Make cards and label pictures for loved ones. 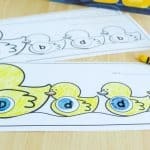 Sight Words – Practice sight words by stamping them out letter by letter. We’ve had our stamps since Liam was 3 or 4, and they’ve gotten regular use. He was much more willing to stamp than to write by hand. My girls love hand writing things, but they also enjoy creating masterpieces with the letter stamps. I love sneaking a bit of literacy into their crafting time. 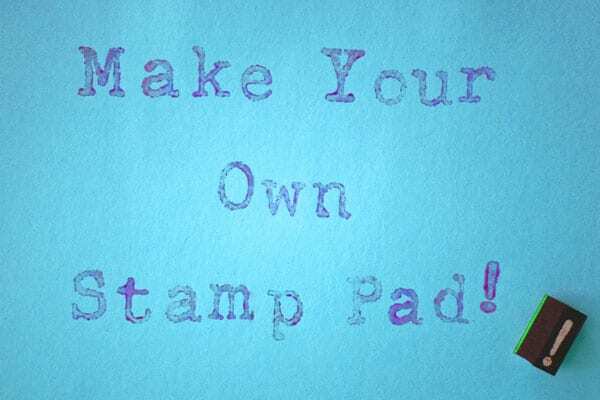 Making our own stamp pad fits the bill perfectly. 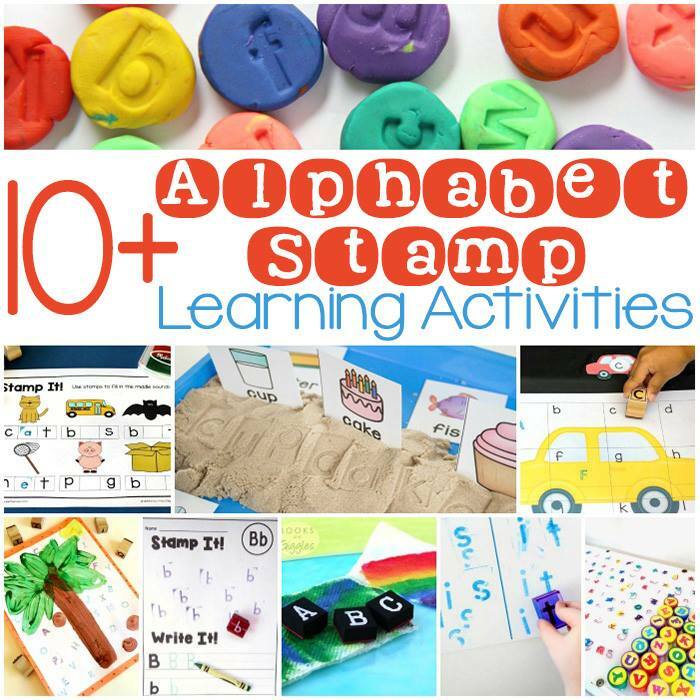 Looking for even more alphabet stamp learning activities? You may like to check out all the amazing ideas my fellow bloggers have in store for you. How cool! I would have never thought to do this. Well, the only "working" stamp pad I had was black. Necessity is the mother of invention! What a money saver this post is! No more ink pads drying out. It's super easy too. I'm glad you like it. Gorgeous!! I love this idea and my kids will too.